Are you interested in what our clients are saying about us? Your review can really help other people like you who are looking for more information about what we have to offer and the results they can potentially achieve through working with us. The reviews that tend to help people most are reviews that are submitted directly to a local search portal like Google or Yelp or to a social media site like Facebook. Heart of Wellness provides a great service. Appointments are always on time, office is never crowded and everyone that works there is very friendly. It is like a breath of fresh air. Heart of Wellness offers a unique mix of practitioners and therapists under one roof. They do an excellent job of including each other and being transparent with you leaving you with answers you have been seeking to optimize your health. Heart of Wellness is the perfect health clinic of the future – available now. I am incredibly pleased with both Dr Diane Duncan, and Gwen, the nutritionist. Both are professional, informational with disease processes and interventions holistically to treat them effectively. Dr Duncan is thorough with particular attention to details, patient communication, and compassion in her practice. I feel I have answers now, as well as a definitive plan to gain my back my health. Gwen is phenomenal with advanced nutrition and lifestyles changes to implement a plan of care. Would highly recommend Heart of Wellness to anyone who is sick and tired of, “taking pills,” without any lifestyle changes to alter disease process. I had been coping with some chronic long term physical symptoms which were beginning to affect my ability to function very well. I had seen a variety of practitioners but to no avail. I visited Heart of Wellness and was referred to one of their therapists. After just a couple of therapy sessions, much to my surprise – my symptoms were relieved. I’ve been to a lot of different practitioners and therapists, but this therapist was extraordinary. Heart of Wellness offers a truly unique complimentary mix of practitioners and therapists under one roof. They do an excellent job of communicating with each other and with you leaving you feeling much more empowered in your healing. Heart of Wellness is a health clinic of the future – but it’s available today. Phenomenal Experience for your Health! I never knew going to the doctor could be as fulfilling and thoroughly enjoyable. From my naturopath to my nutritionist to my acupuncturist, the team functions seamlessly to teach me more about my health, and I feel so cared for–not to mention that my body is responding favorably, and I feel the best I’ve felt in decades. As soon as I walked into the space I felt the nurturing and healthful energy that Heart of Wellness fosters. I have been working to resolve a health issue, have visited a half dozen offices in a few short months. This was such a welcome contrast to all the other offices I visited. I am grateful to receive care from this fabulous team. It’s worth the hour drive both ways to go to Heart of Wellness. I leave feeling positive and informed rather than discouraged and confused as I am when I leave other doctors office. The staff is very friendly and helpful and I feel like I matter, I’m not just a number. I am so grateful I found Dr. Diana. I feel she is truly committed to helping her patients achieve wellness. Dr. Diana has always taken time to listen, answer my questions and find answers and solutions. I always feel comfortable and welcome during visits to Heart of Wellness. The staff and practitioners are genuine and make appointments feel less rushed and more supportive than other doctors I have gone too. I think Dr. Shannon is really just amazing. I actually started calling him Dr. Magic. He obviously REALLY cares about his patients. Its rare these days to feel heard by your doctor but he does all that and more! Thank you! I really enjoy the atmosphere. The reception staff is very welcoming and professional. I enjoy my time with Dr. Greg. He listens well and is empathetic to my situation. I couldn’t be happier. I could not be more thrilled about working with Heart of Wellness, between the Doctor, the Acupuncturist, and the Nutritionist, I’ve never felt better in my entire life, and I only started working with them one month ago. I can only imagine the health I’ll experience months down the road. Thank you all for giving me renewed hope about my well-being. The name of this business says it “ALL”! HEART of WELLNESS!!! Everyone is helpful and friendly! I see Dr. Shannon, and he gives his all to help me with my auto-immune disease, that is very stubborn! VERY HIGHLY RECOMMENDED FOR ANYONE LOOKING FOR A CARING TEAM!!! Have already recommended you to a few women I work with! Dr. Deisering was amazing. Felt very relaxed and left like she was interested in ME and not just herding patients through. Office help was very friendly and helpful. No or little waiting and easy to set up appts. So happy to be a patient here! From the first moment I walked into the door, I felt welcomed. It was a warm, inviting atmosphere and I felt at ease as a brand new patient. The doctor and I had a great conversation. She made sure to talk about all of my concerns. I look forward to my next visit and I know I’m in good hands. 1. The building is beautiful – with lots of light, cork flooring, and natural materials. 2. Friendly receptionists. 3. A president who deeply cares about the healing of this community. 4. Knowledgeable, caring practitioners. 5. Convenience – I don’t have to look all over town for my supplements, the labs I need are here, and the practitioners I need are here. 6. Respect for my money – no unnecessary lab work and full disclosure of potential expenses so I can make informed decisions. 7. My own healing and personal development. Thank you!!! I was very relieved to call and get a “same day appointment” and a very effective acupuncture treatment that relieved my pain and allowed me to continue my day pain free. Being comfortable at the end of the day was beyond my expectations. I love holistic medicines options and “drug free” treatments. The services that you guys provide go above and beyond any expectations that I had. My wife and daughter also come here. I encourage everyone that I know to make an appointment and find out for themselves how great you guys are. We really like what is offered, have referred others and they report the same. Our lives are better as a result of HOW! Thank you! You may want to consider improving the comfort of the waiting room furniture. A little background music might be a nice touch. I really like all the services you provide at Heart of Wellness, including the new ones you continue to add. It proves to me you are meeting our needs. The reception people are awesome too. I always feel special when I’m at your facility (a very serene feeling) for whatever reason, and the health providers are very helpful too. So Glad I Made this Choice! The visits are scheduled to last long enough to have real discussion with the physician. It’s not like the 15 minute traditional dr. visit with a quick prescription. All meds and supplements are recommended after tests so they are only prescribed after the real scientific data is collected. The treatment is for you and about you, not about taking meds and coming back if they don’t work so you can have another 15 min. visit to try and communicate, just to get a different drug. I feel more well than I have in years because I’m getting good nutritional support. I’m very grateful that friends referred me to Heart of Wellness. Does Dr. Tim Shannon still do Long Distance (Remote) Treatments like at the solas clinic? Dr. Shannon does do remote treatments at Heart of Wellness. Please call the front desk at 360-570-0401 to schedule. Thank you! What an amazing difference between standard western medical clinics and Heart of Wellness! All staff and providers at Heart of Wellness are relaxed, calm, empathetic, friendly, kind, and take their time with you. Just walking through the door is a stress-reduction strategy! I like that my care is consolidated in one place. I also like the fact that all of the providers that you are seeing at the clinic use the same patient file so each can see how/what your are being treated for by each provider. Being a first time patient – I had a fabulous experience. I felt extreme comfortable throughout my entire visit. The front desk was friendly and willing to work with my insurance issue. I am so happy that I found Heart of Wellness – especially being so new to Olympia. Thank you!! HOW is making strides and integrating into the greater community. People are so hungry for better options than what have been traditionally offered in our culture. I can see no reason why you will not succeed and create a a prosperous exchange for all involved. I think you will also serve as a model to other practitioners who have not yet embraced the notion of integrative medicine. Your clients will become more educated from such an inclusive, integrative practice, and will serve to also educate others personally and professionally. Our medical system has to change because the standard one is failing everyone, creating disease instead of wellness (just watch the drug commercials for more proof of that), and leaving people feeling isolated, misunderstood, misdiagnosed and MAD, the exact opposite of what it should be providing! Fred visited our class at Evergreen this week. The field he exudes is soothing and clear and highly identifiable from the heart for me, a twenty-year-old student. The experiences I had during Fred’s workshop are better expressed through a more non-traditional prose form or in art, so I think I’ll leave it at this. Suffice to say that Fred is a powerful, crystallized, heartfelt presence and his workshop was a very welcome addition to our Consciousness Studies class. The effects of the acupuncture are amazing! Feels like the missing half of my body came back to life! Looking forward to the classes! Fred is a person with great compassion. He has had enough life experiences that allow him to be a dedicated and sincere teacher. I have trust in him as a healer. I was not able to complete participation in the Joyful Relationship class but I would recommend it to my friends. Fred is a very gentle and caring person. He put me at easy immediately. Despite having a personal belief system different from Fred’s, I felt very comfortable with and had no difficulty in contextualizing what Fred shared into a way I understand. I was comforted to know that I would be received just as I am and I don’t have to anything other than myself. The actual experience of acupuncture was most interesting. I gained some insights and found it to be very relaxing. Even now, several days later, I’m able to reproduce some of the positive sensations I had. Fred is very skilled. I’d recommend him to anyone considering acupuncture as one way to increased health. I had a wonderful experience at Community Acupuncture with Fred. His approach is so gentle, helpful and highly professional. He knows what he is doing. Thank you so much, Fred, for providing this service to the community. Beautiful environment, amazing acupuncture and great healing. Just an all around great place to be! Fred has been truly wonderful. He is positive and mellow and the atmosphere is calming and pleasant the perfect place to heal. The fact that he has great expertise yet will charge based on someone’s ability to pay is truly special. I had never tried community acupuncture before, I have been used to private sessions. Fred Klemmer was recommended to me by my general practitioner. 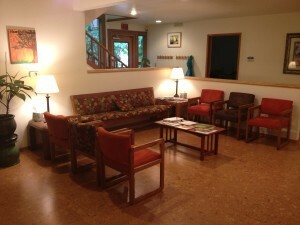 I was immediately surprised by the calm, open, beautiful room where the treatment takes place. Fred has a very professional, warm, and gentle approach. He wanted to share his knowledge with me and I felt in control of the session, which was important to me. I was appreciative of the boundaries that Fred respected, while talking me through a meditative healing process. I will be making another appointment, as well as recommending him and his healing to others. I would highly recommend Fred Klemmer to everyone! From stress to chronic illness, Fred’s expertise, presence, pure intentions, and compassion offer a high quality healing experience, rarely found in the health care field. Sitting back in those comfortable recliners , I feel like I can completely relax and allow the energy flow. When I get up, I feel healed, supercharged, and grateful for the experience. I have experienced acupuncture by practitioners from various schools of TCM. Fred’s style is unique among them. I get the sense that Fred tunes into my areas that I am suffering with. He gently encourages me to actively engage in cultivating personal well-being. Fred “coaches” you to be present rather than lay back to passively receive treatment. For example, Fred begins with an interview involving experiential exercises in which he guides the client through noticing external sensations compared with internal sensations. Fred accurately adjusts the focus of the exercises in response to feedback from the client. These pre-session exercises develop the capacity to extend the healing work beyond the subsequent treatment with the needles. Fred clearly intends to teach people how to heal rather than simply administer treatment. I will continue to see Fred for acupuncture treatment because he supports my willingness and commitment to work on well-being. Wow, what an awesome experience!! A lovely space, peaceful and serene, great energy– and what an amazing practitioner in Fred. He is a gifted healer and intuit, warm and attentive. He went above and beyond in giving his time and caring attention. In coaching, Fred also provided me a new tool for healing which i’ve been grateful for in the days since my appointment. Thank you Fred and I look forward to returning soon. I felt safe with Fred immediately. He is intuitive, gentle and wise. After one session I felt calmed and present in my body, which I had desperately wanted to run from. I will continue to see Fred and look forward to his support on my journey of healing. Definitely recommend his services & I will tell everyone I know about the beautiful place he and other practitioners have created at the Heart of Wellness. Feb 4, 2011 Bill H. Although I have been to many good chiropractor & have experienced acupressure techniques a couple of time but I’ve never actually been to an acupuncturist, as such, before. The combination of Fred’s acupuncture & Marcy Sullivan’s chiropractic manipulation have been AMAZING! After a couple of sessions from each of these practitioners in their respective disciplines I no longer have ANY lower back pain for about the first half-hour to forty-five minutes after I get up every morning FOR THE FIRST TIME IN MORE THAN TWENTY YEARS!!! I’m as truly amazed as I am grateful. I definitely recommend them both. to fit my needs, as Fred is very intuitive and skilled in his craft. Thank you so much for making this experience possible for all. The moment I met Fred Klemmer, I knew he was the person I wanted to work with on this leg of my journey. I had been looking for someone who could work with me on a deeper soul level; someone who could help me work through issues that lived at my core as well as assist me through some of the more challenging experiences of my life at that time. Fred was and still is the perfect fit for that kind of deep work. I trust Fred. I trust Fred with what is most sacred to me, my heart and my soul. His combination of Sufism, Chinese medicine, understanding of philosophy and teaching as well as being one of the kindest people I have ever come across make him an outstanding spiritual coach. I have asked Fred to help me through a variety of challenges and experiences including the death of a close friend, the end of long and close relationships, families issues, as well as utilize his superb skills as a relationship coach to assist in a work relationship. All of these relationships and situations, I was able to handle with grace and compassion because of my work with Fred. Through our coaching partnership, I decided to go back to school and finish my BA (of which I had barely began) and I am now just 3 quarters away from my Master’s degree. In sum, I am a different person; a better person, because of my work with Fred. I am calmer, happier, and show up with more grace and compassion. My heart and soul no longer have to hide in the background but rather can dance in the light, exposed for others to see. I will always be deeply grateful to and for Fred and often thank God for bringing him into my life. He is a true blessing to this planet. I recommend Fred Klemmer to anyone who is ready to live a richer, more graceful life. I recently attended Fred’s “Cultivating Joyful Relationships” introductory evening. Although I didn’t know what to expect, Fred and the environment in the Heart Room immediately put me at ease and I felt a trust in the process. The exercises provided had me come away with a sweet and new knowingness of myself in relationship, a compassionate understanding for myself and my partner and all others I relate with. And this is just the beginning…..yay! service at a sliding scale and that alone moved me to go. I let go of some very deep emotional and physical stuff that first visit. suggest those in pain on any level do the same. My spirit told me to get an appointment with Fred after listening to my wife’s powerful experience. Having no physical condition to be treated I wondered why my spirit wanted me to go. I soon realized that I wanted to know how acupuncture would work on the higher mental realms, so I told Fred I choose to still my mind. He knew exactly what to do. I left with a very still mind and felt my heart expand to my whole body. ~Waves of bliss ~ is how I summarize my first experience with Olympia Community Acupuncture. I’ve had acupuncture treatments in the past, but nothing like this! Lying on a reclining chair where I felt like I was floating enhanced my experience of calming and weightlessness. The unique experience of sharing this healing/love energy in community was very powerful and one I would highly recommend. The shared space is very safe and peaceful. Fred is a very competent, intuitive, and gentle acupuncturist, with a compassionate heart; he is a healer who not only connected with my energy but my essence. After a long stressful day at work and battling insomnia, I left OCA feeling energized but grounded. My deepest gratitude Fred, for all you do to provide this wonderful service to the community and to people who could not normally afford it…you are a treasure. I’ll be seeing you soon. My experience with Fred and his work was deeply moving and my confidence in Fred and his work is infinite. Fred really took the time to meet me where I was. He is highly intuitive and practiced at what he does. He is skilled at handling a variety of possible concerns, from emotional to physical to spiritual. Fred is really an amazing person that can be trusted and is doing work with the highest intention and ability. I highly recommend his services. Fred is an empath and skilled navigator of the internal world – the mind. I’m very interested in taking his 7 week course in building joyful relationships. The introduction alone helped me work through some internal struggles that I’ve been going through for over a year. Everything about my experience with Fred and this clinic was amazing–my heart was opened simply by being in his presence, I felt he truly understood my health concerns and how to properly treat them, and I never had a single question about my treatment’s effectiveness. Not only is Fred a gentle, profoundly insightful man, but he is a highly skilled acupuncture-ist. I cannot say enough good things about my experience here. Attending a workshop with individuals who I had never met was no small feat for me. Avoiding new and unfamiliar experiences was a ‘protection’ mechanism that had been hard-wired into my being for forty years, having developed as a result of experiencing trauma at the age of three. Since the loved ones that cared for me did not have knowledge or tools to cope with everyday life, this trauma was ignored and placed deep down and far away. To pretend it did not happen was the only skill available. The realization that this ‘protection’ mechanism was resulting in self-destructive behavior did not ever occur to me. I never once evaluated or questioned whether or not it was practical or healthy and just accepted it because it was familiar. When and where the conscious decision was made to attend a workshop offered by Fred Klemmer, I cannot recall. What I do know is that my life and the lives of my loved ones have been touched with something special. Through this past eighteen months I have witnessed the sincerity and dedication he brings to every person who joins in these workshops. Personal experience has demonstrated these transformations are gentle and subtle. Awareness of them does not surface in outer action. Rather they surface through inner growth that is reflected in outer perception. The sincerity and compassion carried in Fred’s heart unerringly made me feel safe. This was accomplished by way of always reassuring me that meaning and purpose reside in me, so there is no need to search for something that is already an inherent aspect of who ‘I am’. When this resonated as truth in my heart the result was not something that can be described in words. The teachings he shared facilitated inner growth, allowing me to remove the cluttering of deep seated beliefs that in reality were self-limiting lies. Learning how to remove this clutter provided an opening where deep love and compassion could grow and be extended to others. Saying thank you to him are simple words holding a powerful essence of the gratitude that fills my heart each day when moving through life’s experiences with curiosity and wonder instead of fear and self-hate. I have had acupuncture by possibly as many as 50 practitioners over the last few decades. Only two would I highly recommend, and Fred is one of them. A natural healer/shaman, caring, kind, compassionate. The first visit my sprained ankle was better with a day, I was amazed. Second visit I went for emotional healing and I felt very centered and calm. The group setting never distracts from the healing. You are given a lot more time to have the needles in than usual and the price is unbeatable. I would not hesitate to recommend Fred’s work. Not only does Fred offer wonderful acupuncture sessions, he also provides relationship coaching. My partner and I had never done anything like this before, and we both felt instantly at ease when we attended one of Fred’s private coaching sessions. Our hearts were opened up at a soul level to each other. We were gifted very practical tools from Fred to help us walk through the good times, and the bad, with spiritual grace. He offers this on a sliding scale basis which was extremely helpful to us, and made it possible for us to attend. I recommend his sessions to any couple who would like to feel more connected. Thank you Fred, for sharing your love of love! I happened upon Oly Community Acupuncture by good fortune, wanting to try some alternative to medication for severe arthritic pain. I knew that my insurance would not cover acupuncture, so I was very happy to find that the pricing is incredibly reasonable,as the acupuncturist, Fred Klemmer, is more concerned with the well being of his clients than with money making. This is a good first clue to how this man approaches his profession. I learned on my first visit this was going to be much more than a few needles stuck in to relieve pain. My first appointment introduced me to his holistic methods; as our physical bodies relate what is going on within us, the body is more a reflection than a totality, and it is always the whole being at issue. Prior to meeting Fred I had never experienced acupuncture. After my first visit, the realization that acupuncture would be a healing modality that would draw me in for the rest of my life surprised me. Every day since my first experience evolves to be something greater than imagined. It is real. Each healing session experienced, brings an experience of deep comfort and guidance facilitated by Fred’s generous spirit and heart. My deepest gratitude Fred, for all that you offer to all of as patients, and to the holistic health care community. I happened upon Oly Community Acupuncture by good fortune, wanting to try some alternative to medication for severe arthritic pain. I knew that my insurance would not cover acupuncture, so I was very happy to find that the pricing is incredibly reasonable,as the acupuncturist, Fred Klemmer, is more concerned with the well being of his clients than with money making. This is a good first clue to how this man approaches his profession. I learned on my first visit this was going to be much more than a few needles stuck in to relieve pain. My first appointment introduced me to his holistic methods; as our physical bodies relate what is going on within us, the body is more a reflection than a totality, and it is always the whole being at issue. In a world of ;the “quick fix”, acupuncture calls for a slowing down, a relaxing, releasing, and reflection. I have been several times now, with good effect, and a release that carries over to the other hours of my days. I am so very thankful for this man, his help, his practice and the Powers that brought me here! Holy Wow! Oh my goodness what an incredible experience! Fred blew me away with his intrinsic intuitive healing magic, something so beautiful and powerful that cannot be taught. I honestly don’t know how to encapsulate in so few words how profound and effective my session with Fred was. You would think as well that sharing the space with other folks receiving treatment would be impersonal, which is anything but the truth. Somehow he is able to give each person their own entirely individual session, speaking so quietly and intimately that you can only hear what he is saying to you. He is a healer whose nearly psychic abilities to read energy flow on the spot demand recognition and trust. I felt completely open to his healing, and my session with him was therefore beautifully deep and compelling. Yet, he is there to simply assist and guide you in discovering your own tools for healing, not to condition your reliance upon him. But he is so genuinely supportive and deeply calming as you discover layers of yourself peeling back to reveal what lies within you, conscious or unconscious. Though he has certainly helped me to discover a deeper sense of myself and the tools available to me for my own healing, I know right now he is the only acupuncturist that I would go to for such healing assistance. Thank you Fred! I’ll see you again soon! This was my first accupuncture experience having had virtually no experience with any type of alternative healing method. I was experiencing a great deal of stress that was manifesting itself in shoulder and neck pain. Fred immediatly identified the pressure points contributing to the issue and the first treatment helped immensely. He also provided great instruction and indeas for stretches and other exercises that can help address the issue. Its obvious that Fred has an intuitive gift for this healing art and I feel very thankful to have him in our community. Before my first acupuncture session, Fred Klemmer met with me to go over my health concerns. His heart-centered and intuitive approach went right to the main issue with the pain in my shoulders (rotator cuff area). He gave me an exercise to do daily, and some excellent counseling support about how to experience the pain. Before the first needle was placed I was amazed at how supported I felt with his suggested daily practice tips. He was very respectful and non-invasive in his counseling style. Then I went into a quiet, but well lit room and reclined in a chair. Several other people were in the middle of their treatments, though the room had a hushed, sanctuary feel to it. Within moments I was no longer aware of the others in the room, but only aware of the sensations during the treatment. It was a blissful and sacred experience of releasing stress, concerns and burdens. Menopause, my husband’s death, my teen’s emo attitude’s, and fibromyalgia drove me mad and i found myself lucky enough to find Fred and had the first acupuncture treatment and it was DIVINE. Really, I don’t fawn, normally, AND I walked in grief and left smiling and blowing kisses – truly wonderful, would recommend this to anyone seeking to balance their own ley lines in these wild times – as a reiki master i also felt like it was a refreshing waterfall of energy- i don’t know why i didn’t do it years ago when a psychic friend of mine in the UK said it would be incredible. Well, Fred really is incredible too, so i really recommended this if you have body ‘issues’ and want to feel good NOW. My first experience of Fred’s acupuncture was interesting, relaxing, and very peaceful. Fred gave me a bit of background and we discussed some of the scientific and spiritual aspects of acupuncture in general, and how it works with my body to balance ki/chi energies. Then I relaxed into the recliner experience and he quickly inserted a number or needles, of which I felt only 2 or 3. I relaxed into a deep body-centered meditative/sleep state. A couple of hours later, he took out the needles and it was time to go. I haven’t noticed much change yet, except for an increased ability to climb stairs (arthritic knee). Hopefully a few more treatments will put my walking gear to rights and I will be more mobile, walking into the sunset…. This is my first time having this treatment or dealing with acupuncture, the reason why I chose to go is; I was diagnosed with Bells Pallsy, so one day I was doing some research and read what help some of the people that were going through the same thing, so I made an appointment with Fred Klemmer, well let me tell you… as soon I walk in that relaxing room and talked to him, I felt good inside, his welcome and the room made me feel like paradise, as we talked and finish the treatment, I not only felt like I was heal physically but mentally, it felt like I knew Fred for years, he recommended I come for three treaments a week to get a better improvement, the first thing on my mind was Woah! !, that is going to be expensive since I was not working, but he told me he works with his patience and I was able to pay $20.00 to $40.00, what ever was easier , that he understood it could get hard at times, I had never had some one as caring and good hearted as him, I could tell , he loves what he does, Im only on my second treatment and Fred has made a big difference in my life, I learned from him that we have to be positive and to have god in our lives, even though I still have a long ways to go, I learn we have to be prepared mentally to what ever life brings us, he also told me… You will get better!! his word of inspiration, is what I also needed, I wish we had more people like Fred.I want to thank him for the bottom of my heart in this difficult times. Last Friday, I experienced Olympia Community Acupuncture with Fred Klemmer. How to put it into words, when so much of the experience is hard to name? Warm wood toned room, daylight comes in through large windows, sea shore sound of white noise and a circle of 5 recliners. Whispering only in this neutral place. Nine needles were inserted in hands, elbow, feet and neck- slight pain only in elbow point- which apparently is a major one. Fred was very attentive, whispering questions which I don’t remember now. I mentioned shoulder pain, which was lifting as needles were placed. Then no more words for some “quality needle time”- which you are encouraged to linger if you need to. Opened me up the the BIG ALLOW, more at ease with my vulnerable edge where I feel healing happens. Fred has created a safe place that I could admit my human follies. I look forward to delving deeper into this, with Fred’s caring assistance, passing along a follow up to this. I had severely pulled a tendon in my right foot and two weeks had passed with no improvement. I am a dance instructor and a very physical person so being out of my regular physical activities was really starting to drain on me physically and emotionally. I wanted to be more proactive in my healing process and a friend recommended Fred to me. After me first interaction with Fred I began to see my healing process in a new light. I felt like someone was actually listening to me! He was so open and emotionally sensitive, it was unlike any other “doctor” experience I had ever had. He immediately saw that this injury was affecting more that my foot. He saw that my spirit was struggling. He spoke with me for over a half hour. I was able to cry and let go of some fears I was carrying around. Fred had me do some visualizations of the pain I was feeling and he directed me on constructive ways to feel the pain I was having and to open up channels of energy to speed my healing. Fred reminded me that our own thoughts and energy have amazing powers to heal. This may not have a profound effect on all, but I know my metal well-being plays a huge part in my body’s health. Fred said that we would work on two types of healing, both physiological and emotional. And that was exactly what he did in the treatment. After being needled, I lay in the chair for a whole two hours and was overcome by a new possibility towards the power I can play in my own body’s recovery. The next day I actually did have a little less pain in my foot although it is now two weeks later and I am still not recovered. However I am continuing to return to Fred for both the spiritual experience and the acupuncture, which I could feel bringing blood flow and energy to my foot. I would strongly recommend Fred and this style of community acupuncture to all who want to approach healing in a positive and holistic way. I went to see Fred in an attempt to move and release some old emotional trauma. Within minutes of speaking to him (after telling him very little) he reflected what he saw and recommended a course of action that was so precisely what was needed that I was moved to tears. Once in the chair I was again impressed with his compassion as well as his ability to accurately sense where I was at with the treatment. In the weeks following the two sessions I’ve had with him I am feeling new energy for my life and freedom from my past. I feel present and aware of my body in a way that I have been working to accomplish for years. I have another appointment soon and look forward to further healing through this useful and affordable practice. I have had acupuncture throughout the years with a variety of practicioners, some great, some not so. I honestly felt that fred klemmers approach has both esoteric as well as grounded. he is a great healer. He would start on an area of my body and it was as if his hands were being guided to the exact spot that needed attention. I noticed instant relief from the pain in my hands and shoulder and you just can”t say enough about the sliding pay scale!!! I have suggested fred to friends already after one session and am looking forward to many more sessions with him. I’ve had acupuncture over time. This was by far the most relaxing experience, I’ve had in a longtime. I highly recommend The Olympia Community Acupuncture to everyone I know. I went to Fred’s free trial and was very pleased. I have had many different types of body work done including acupuncture. Fred is one of the best. He is very intuitive, insightful, and empathetic. I have found his work to be profoundly healing and I scheduled four more appointments with him. Highly recommended. I have had two sessions for my arthritis. After the first session I felt some slight relief but continued with the second session.I thought that if I didn’t get more relief after that I wouldn’t continue. I did the second session late in the day–by the time I went to bed I was having “miraculous” relief. The joint swelling was way down and the sharp pain was gone!!! I slept pain free for the first time in several years! I have remained significantly better for the past 4 days. Amazing! This was my first experience with acupuncture, as I was looking for relief of Endometriosis related symptoms (mainly low back pain). I appreciated the quiet, welcoming atmosphere. I felt very much at ease when I walked through the door. Fred Klemmer spent time reviewing my health and introducing me to the concept of acupuncture before the treatment. I was also pleasantly surprised that the needles cause little to no pain. Unfortunately my symptoms were not improved when I left the clinic, however Fred assured me that this is a difficult disease to treat and would require multiple treatments before I can expect to see results. It has been 4 days since my appointment with Fred. I have already enthusiastically given his name and number to 5 of my friends. My experience was wonderful. Really, attempting to put words to it is difficult. It was my 1st ever acupuncture appointment and I really didn’t know what to expect. All of my fears of it not being helpful, or at worse harmful, were totally blown out of the water. It was life changing and healing on all levels-physically, emotionally, mentally, spiritually, and more. I am so grateful to Fred’s generosity and presence. I was there for three hours! I almost expected that with a free appointment there might be a cut off time. Instead, I was surprised to find out that Fred had let my experience be a natural one, and not one to be forced to stop. I wholeheartedly recommend you to make an appointment with this man! I found Fred to be incredibly compassionate, patient, generous, and bright. His awareness of the material is so clear, and I could see that he has walked very deeply – practicing what he preaches. There were many times when we needed to have the material explained to us over and over again, and Fred kindly did so, finding new ways to give voice to the same concepts. He is also an excellent listener and paraphrases very well, getting to the deeper meaning behind what we were saying. He has been so generous with his time, offering to meet with us without compensation and support us on our journey. My husband took this class, as well. It was a very new experience for him. Fred always met my husband where he was, without expecting him to change or adapt or be different in the class. I think this really helped my husband to feel comfortable in the class and open up. A most special experience: healing for my whole being, never before experienced. Thank you from the bottom of my heart. I’ll most certainly be back. This was my first experience with acupuncture and from what I hear it was not an average clinical experience. It started out with Fred recommending another Community Acupuncture place that I had ended up at at first, saying that they were good friends of his. Next he took the time to sit and talk with me with patience respect and care that I had yet to ever feel in the clinical world. Fred offered me the space and guidance to do healing. I could see that he has done work within himself and has the skills to provide a safe, healing, loving environment that is affordable for all. I experienced sensations in my body that I have never felt before; my face looks different and I move differently in the world. I laughed and I cried all within a few hours with him. I am so grateful to have gotten the opportunity to do this work and will be continuing to work with him, because if so much shifted that one time who knows what potential lies in that chair for me. I hope you get to say yes to healing. I have long been called to experience acupuncture…thanks to Fred’s generous offer, I have. As I read other reviews I wasn’t surprised to see that the sense of well being that has stayed with me since my first appointment is not uncommon. I have scheduled my next appointment; and I look forward to delving deeply into the obvious benefits of this opportunity. It is my experience that, as Fred was quick to bring to bear in our consultation, there is a real possibility for deep and comprehensive healing within. I tried a community acupuncture Monday afternoon Jan. 31, 2011. I had never tried acupuncture, though I had had a couple of limited acupressure experiences with some rather limited immediate & later some rather dramatic long term results. I think the same thing may have happened & be happening now. I had the immediate result of not having the usual minor “aches & pains” that seems to come with age. (Whoever coined the term “Golden Years” hasn’t gotten here yet.) I also had the distinct feeling of well-being & peace for no obvious reason. I was so impressed overall that I made another appointment for myself & an appointment for my wife as well! The best. His care, knowledge and genuine feelings for life and healing set him apart and above any other experience I’ve had before. I cannot thank him enough. I really enjoyed my first experience with Fred Klemmer at the Heart and Wellness Center, where I received a free acupuncture treatment. He showed me a great deal of kindness and respect, and did the best he could to ensure my comfort. I will be sure to return in the near future. This is an amazing opportunity for acupuncture at very affordable price. It not only helped me physically but was true support on all levels (mental, emotional, spiritual, physical). Fred’s connection to the divine is obvious and it shows up in his work. Very potent if your willing to really open and receive. I have been to the community accupuncture sessions a couple of times. It has been such a warm and loving place that I now have made it a weekly must in my life. Fred has a great loving energy and I am honored to be on the receiving side of his work. My experiences of Fred have included those where he has been a teacher, a coach, a workshop leader, and an acupuncture therapist. In each and every one of these settings, first and foremost, Fred is a heart whisperer and healer. As a channel for the Divine Heart (by whatever name you may call It – God, Allah, Source), he carefully listens to, speaks to and touches those most sacred and tender places within us, bringing balm, support and healing with his presence and words. In group settings, I have been awed and amazed at his ability to very precisely scope out where everyone is at by checking in at the heart level, and then adjusting the pace and direction of the activity to accommodate the current needs of the participants. The one word that repeatedly comes to mind from my individual sessions with Fred is “powerful”. Like – really – “POWERFUL” ! Wow! It has been a tremendous blessing in my life to have had these opportunities to connect and work with Fred. I would very highly recommend him to anyone seeking assistance with growth and healing, especially those interested in getting to the heart of a life challenge, and healing from the inside (source) out. It is so powerful to receive healing from you, as someone who has the ability to deeply witness all of me, all of my challenges and wounds and strengths. I have felt so held and loved and completely accepted by you, as I brought forward all of the uncomfortable horrible feelings of shame towards my female body. In my journey to love myself as a woman you guided me consistently toward what was real and true about myself, and the truth of my connection with the entire universe. I think that is the most powerful gift I received from you–the kind, solid, attentive way that you noticed me and guided my heart into opening more and more fully into this life and this body. Your intuition about me was consistently right on, and your words and prayers consistently brought me into tears. I was able to feel your love and caring for me easily, which allowed me to completely relax. It is not easy to trust people in this way, and I appreciate you so much for it. You took time to ask and listen and get details about what was going on for me physically, emotionally, and spiritually. This is so precious!!! The asset of your strong intuition and your knowledge about medicine is a powerful combination. Today as I sit here I can feel how much our work together changed things for me. Something profound has shifted in my awareness around my body during this time. It is easier to keep my heart open to the world and myself. I regularly use the images you gave me during our sessions in my own meditations, when I need grounding. I see myself as this open book, pages wide and spread and my heart expanding outward. I pray to keep opening and opening to the world. A session with Fred is only the beginning of your healing. With Fred, I began to remember, and the journey home has only continued to widen and deepen. Listening intently, with remarkable compassion, Fred addressed both the surface issues and the deeper spiritual issues that were affecting me. Fred was clear about his approach from the start, noting his use of acupuncture, herbs, and prayer and answered all of my questions fully. I felt safe, seen, and listened to. The tools I have developed for self-healing, honed with Fred’s loving guidance, have been invaluable in sustaining lasting personal growth. I am deeply grateful for my ongoing work with him. To me healing is an active everyday process, which starts with listening to myself and making the time to do what my mind, body and heart are telling me to do. This daily self reflection and ‘checking in’ is not easy for me to do, and so I find that at times I need help from others who can listen and help keep my energies on the right path of being. For me, people who can listen and see what state my mind, body and heart are in and deal with my physical and spiritual self can help direct me to stay on the right path of being is a healer. People who do this well and make the time to truly be with you are not easy to find. I came to Fred Klemmer during a health crisis and found that perfect synthesis of healer and teacher who could help with my physical being and my spiritual being. Fred was able to work with me on all the levels of a health problem. With his use of acupuncture, active listening and guidance, and herbal medicines I came away with a better understanding of how to maintain my physical and spiritual body and to therefore walk on the right path of being. After going to my MD and other practitioners for help with several conditions, I decided to see if Fred Klemmer could help. Frankly, I didn’t have high expectations and had grown discouraged, but I experienced something different. Fred is a practitioner who uses a combination of acupuncture, herbs, and extraordinary listening skills to bring about healing. In contrast to western medical providers, I never felt rushed in any appointment. Each visit Fred allowed ample time to hear what I had to say, listen to my concerns, discuss the issues, and explain possible treatment. In addition to acupuncture, he used meditation, prayer, exercise, and self-care resources which definitely guided me in deepening my own inner relationship to healing. I have never worked with a practitioner like Fred and was astonished to find that the day after my treatment, my physical condition and mental state both improved dramatically. I feel in balance and healthy—thank you, Fred! The Radical Self care class was great. It was really helpful to be reminded that the root of healing is simple and universal, and always present in the heart of each of us. There are so many different methods and practices and ideas about healing, that there can be confusion, even conflict about what works and what doesn’t. I like how your approach is completely universal and inclusive while also being to the point. I was impressed by your sensitivity to each person there, and how you gently encouraged us to go deeper into our hearts, through your own deep loving support. Thank you.